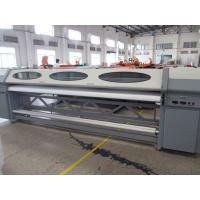 we are one of the biggest supplier for large format printers, servious printing materials, inks, laminators, engravers,welders, cutting plotters, print head cleaning machine. BIG SERVICE, THEN BIG BUSINESS! TOGETHER WITH THE MACHINE: one spare parts bag, CD for driver and software, User's manual for how to install and setting. AFTER SOLD SERVICE: 1. 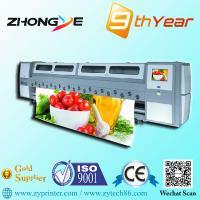 Anytime on line technology support; 2, video support;3, send the technician to your place for helping. 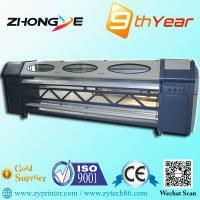 We promise that we can guarantee to keep the whole printer in good repair for one year,and no charge for repairing and adjusting,but cunstomer should pay the airplane ticket,room and food for our technician. Heads we can promise that they are in a good condition,and from the original factory. And when the heads damaged, and we should see the exactlly cause,then decide which part pay for it; for example, the heads damaged or can't work, because of our failure, we pay for them. If this system damaged,we can't replace it,you can pay for it below the market price from our company. We can replace it from old to new board for no charges. All other parts we promise you can purchase from our company by the lower price than the market price. 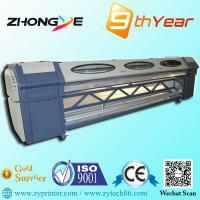 If you need, we can send technician to help you.